The skin under our eyes, like the rest of our body, has melanin. When it reacts to the sunlight, it causes dark circles. Not only this, without sunglasses you'll be squinting all day which quickens fine lines and wrinkles. 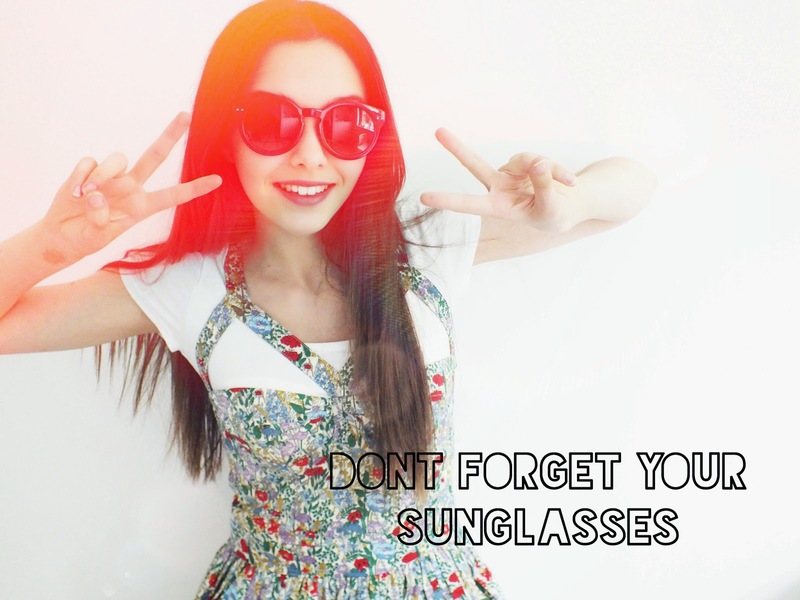 So get your pair of trendy sunglasses and not only will you look fashionable - you'll be protecting your skin too! Wow, that sounded like some cheesy tv ad, not intended! 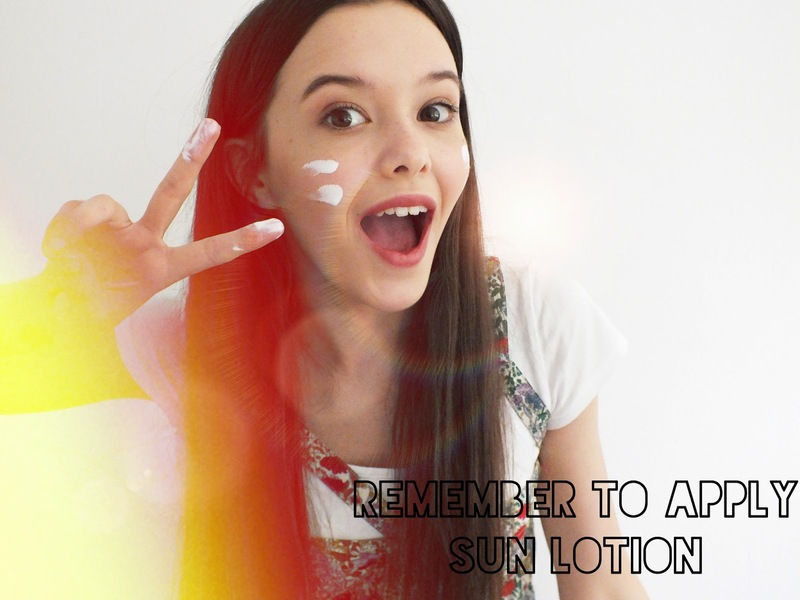 Are you the type of person who remembers to apply sun lotion every morning? Or are you the type of person who forgets frequently? Applying sun lotion has become part of my everyday routine as I will avoid getting sun burnt for as long as possible (never been sun-kissed in my life! Excluding the fake tan!) The rays of the sun are harmful -unfortunately. And wearing sun lotion means that it will protect you, prevent brown spots, skin discolourations, blotchiness and slow down the development of wrinkles! Ok, don't literally get off your face. But for me this is a big mistake I always make and a horrible habit too! I'm quite the awkward person and find myself with my hand covering my mouth when I feel uncomfortable. I remember being in Science at school and sitting like the pictures above (completely bored) and thinking "Oh, so this is probably why I have a spot on my chin". Imagine all the germs your hands encounter during the day... Nasty! I now carry hand sanitizers with me everywhere - I have a Hello Kitty one! I frequently wash my hands, and most importantly: remind myself to get off my face! Nice post! I always do the touching my face one and I don't even want to think about the amount of germs I must get from school! Haha, great post! I have to admit... I commit all of these skin sins, too! I'm the worst for forgetting to put sun cream on and then when I've got my make up on there's no way it's coming off when I've remembered! I'm pretty bad for touching my skin too, maybe that's why it's not great! 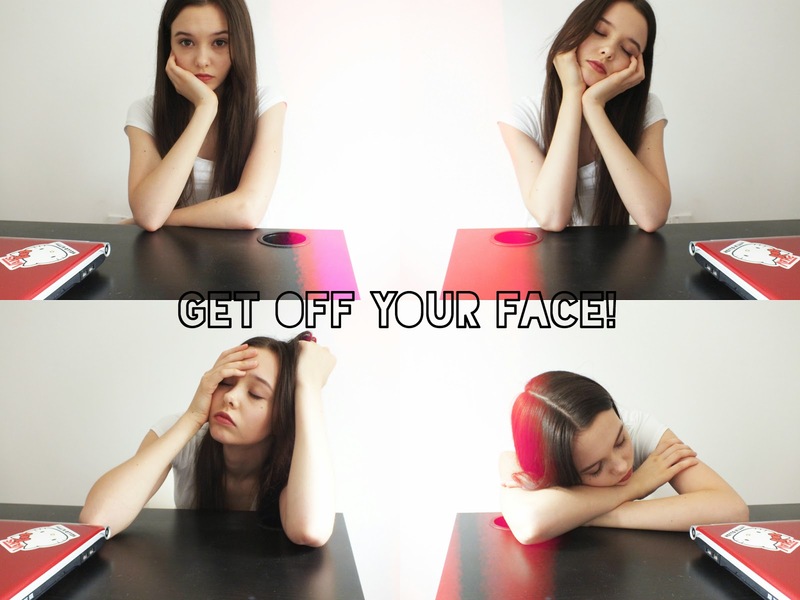 Gosh i'm always 'on my face', it's such a bad habbit!